At this year’s Information Builders Summit, the company’s annual conference for users and analysts (Twitter: #Summit2011) in Dallas, the long-time supplier of business intelligence and information management software showed how it has been able to sustain double-digit revenue growth thanks to highly accessible and scalable software that operates on a variety of platforms and data sources. Its recent expansion into information management, master data management and integration helps organizations link data to business analytics quickly – something our benchmark research has found to be essential. It also is continuing to advance BI on mobile devices. At its BlackBerry World conference earlier this month, RIM promoted its own tablet computer to challenge other providers’ tablet offerings. The BlackBerry PlayBook, which was unveiled at the beginning of 2011, addresses the growing demand for business mobility – a factor I noted as one of the five key business technology innovations of this year. At the SAPPHIRE NOW annual conference, (Twitter: #SAPPHIRENOW) the advantage of the mobile technology SAP gained through its acquisition of Sybase is becoming evident. In a blog before the conference I touched on the importance of mobility to the company’s future. From walking around, assessing keynotes and sessions and talking to companies using SAP, it seems that the big bet that SAP made on mobility is paying off. One year ago at this annual conference SAP announced that it would enlist the people and technology of Sybase in executing its larger application strategy. Collaboration with the Sybase additions in areas from analytics and databases to mobility is now proving integral to SAP’s efforts. The company insists that mobile devices are the new desktop for the enterprise, and the rapid adoption curve is justifying that statement. The acquisition of Sybase allows SAP to add sophistication to its infrastructure and enhance tool and application development for mobile platforms. Sybase has a heritage of mobilizing information for access and commerce, which makes for a sound partnership to advance SAP’s business applications. Sybase has been positioning itself as platform-neutral in providing support for the range of mobile technology stacks from Apple, Google and Android, RIM and HP and Microsoft. As well it has been the major and in many cases sole provider of the underlying routing software of SMS and data across wireless networks. SAP itself made its initial bets on Apple, with the iPad as the primary platform for its applications, and RIM, for smartphones for internal employees – though the success of Android appears to have SAP and Sybase busy examining growing its support and diversity of mobile technologies. Our benchmark research into current mobile technologies and demand shows a base of legacy Microsoft and RIM customers, but many organizations are reevaluating their mobile technologies. SAP still has not employed the Sybase technology to secure iPhones for use internally, but that could happen. SAP did support its long-time partner RIM by demonstrating its applications on the new RIM Playbook. Though the Playbook addresses Apple’s lack of Adobe Flash support and multitasking and tethering limitation, it is still working through some challenges. I asked SAP and Sybase executives about the absence of HP and Microsoft mobile technologies at the conference. Their obviously rehearsed response emphasized the rapid adoption of Apple in business, the continuing use of RIM within specific industries and SAP’s plans for supporting the Android ecosystem. My checks among the large and midsize application and tool software companies finds the same indifference to HP and Microsoft, due to their lack of penetration into business and challenges associated with their shifting technology stack. Microsoft, which has begun to stabilize Windows Mobile after some turbulent years in technology transition, is now busy with its strategic partnership with Nokia. While that effort is rumored to be leading to an acquisition, it is clearly a distraction from the focus on the business and enterprise ecosystem that Microsoft must apply to recover the market share it has lost in that area. In new software news, SAP introduced a collection of mobile applications that supports field service workers with alerts, orders, visit mapping and post-visit debriefing. For the retail industry the company provides support for field sales activities from visits, surveys and account management to product and category reviews. The plant and maintenance operations team can have mobile access to work orders, location, inventory and partner and customer information. While SAP was demonstrating these industry-specific applications, it was also talking about mobile applications for employee self-service for leave requests and time capture and for managers or HR staff doing employee lookups and approvals. Mobile capabilities for procurement activities are also in the works, along with manager and employee operations in travel and expenses, and field sales functions for accessing SAP CRM for product availability, notification, order status and customer lookup. All things said, Apple remains the platform SAP has progressed farthest with. SAP has been steadily providing iPhone access to its applications, such as SAP Business ByDesign. It has extended its cloud-based platform to support SAP Sales OnDemand on the iPhone and iPad. In the Apple application store you can also find SAP Commissions Check, a simple way to help sales folks check their progress towards quota and commission, along with collaborative technology called SAP StreamWork. The SAP BusinessObjects Mobile tool works with RIM BlackBerry, Symbian and Windows Mobile. For native support for SAP Business Intelligence for Apple iPhone or iPad you can use the SAP BusinessObjects Explorer and work with SAP on configuring it. Mobile applications will introduce new challenges with application and information lifecycle management within SUP. Sybase executives did not reveal much substance on how they are going to support mobility from within SUP, but support for mobile platforms will become more important as the volume of development increases. Version 2.1 of SUP is due later this summer and will be critical for deeper integration between SUP and the SAP NetWeaver platform, and for the development of mobile applications across analytics and BI, as well as the broader portfolio of industry and lines of business. Sybase and SAP are betting they can simplify mobile application development with a common platform while leveraging the native experience of the mobile technology provider. This development strategy is good for simplifying product development and for IT, but it’s not clear yet how it will come to fruition. Organizations that want to develop mobile applications will have to use SUP as the preferred platform and will need trained IT resources who understand Java SDK development. 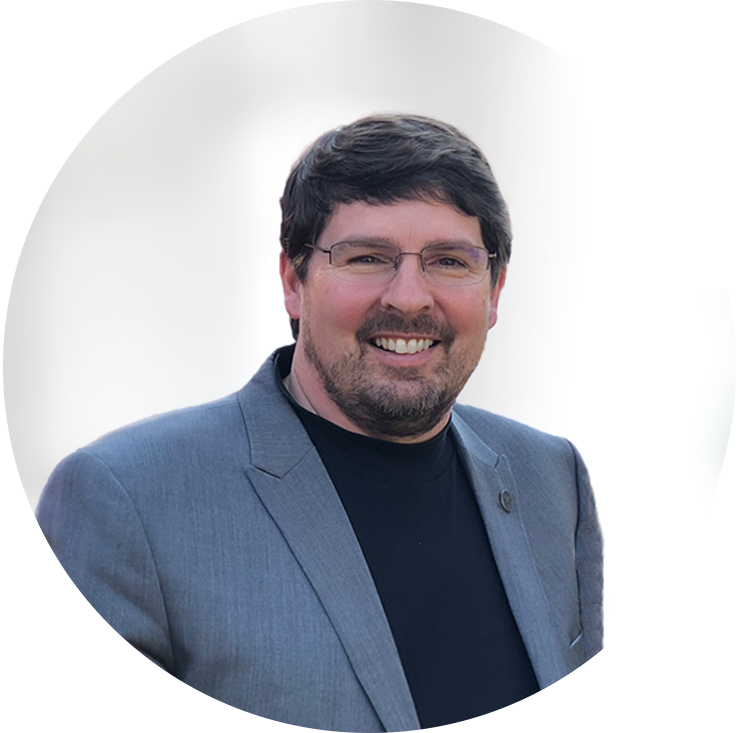 Beyond traditional application development is the need to provide line-of-business and industry-specific applications that offer a range of information from content and data to prebuilt analytics. The current approach with SUP is very technically focused and not focused on empowering business to assemble and publish information into applications for mobile devices. For SAP the current effort seems to be on providing tools that partners can use to develop mobile applications. This means that potential SAP customers may need to look elsewhere for assembling information or deploying analytic applications. Many organizations have been looking at alternatives from MicroStrategy, which has released a mobile platform that my colleague David Menninger covered, and provides a BI application assembly environment. Another alternative is the new MeLLmo Roambi Flow technology I just assessed, which can assemble and publish information or analytics in a digital magazine or newspaper format. Overall, the outlook for the combined company is optimistic. Under SAP, Sybase gains significant industry and business expertise in applications, which was one of its largest challenges. SAP has committed significant resources to work with Sybase to address this new market demand. Sybase is also helping bring commerce to bear in mobile applications with its Sybase365 offering, which adds secure and scalable mobile commerce services into the realm of mobile application development. Mobile interfacing to SAP applications was everywhere at the conference, with dozens of customers and partners demonstrating mobile applications. Mobility is a smart place for SAP to invest and a way to differentiate its application portfolio from those of competitors such as Oracle and Infor. SAP was clearly looking for assistance from its partner ecosystem to further its mobile strategy and help organizations adapt to a potentially complex environment of mobile technologies. Dozens of partners were at SAPPHIRE NOW. In one major move SAP announced a partnership with Accenture to further its global presence with consultants and support of enterprise deployments. 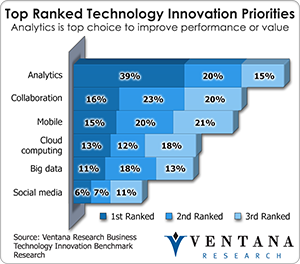 We at Ventana Research are already working on benchmark research on the competency of organizations to advance into mobile business and meet the challenges of transitioning people and processes to change how they work. SAP has made a significant commitment to mobility and is ahead of most of its peers as it brings to market a new portfolio of mobile-based applications. Now it will need to ensure it does not make mobile application development too complicated for developers or too complex to leverage the native experience of the mobile technologies. If the applications are too generic in their experience or take too long to develop they could fail to appeal to individuals and the workforce who are adopting Apple and Android-based smart phones and tablets. SAP has made significant progress over the last year, and I expect the company to make even more progress over the next year. To maintain a productive workforce, businesses need to be able to put information in front of users at every level, from executives to front-line managers. Mobile technologies such as smartphones and tablets can provide analytics and business intelligence (BI), but so far this market niche has been dominated by publishing dashboards and reports that conform to the limits of mobile platforms. Analytics and BI software developers usually opt to publish charts and tables to Web pages on a smartphone or tablet. However, the usability of mobile-based Web browsers leaves a lot to be desired, which is particularly unfortunate in light of our recent benchmark research in business analytics, which found that usability was the number one consideration in 57 percent of organizations, while 89 percent said mobile applications need to be simpler to understand and use. A company called MeLLmo appears poised to capitalize on the demand for accessible mobile BI information.